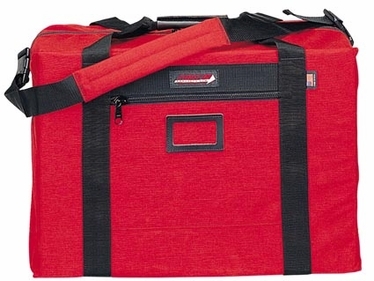 A tough and roomy turnout bag that will easily carry all of your turnout/bunker gear. This is built extra strong for the job it is intended to do. This is also an excellent choice for carrying bedding to and from the station. Also features a large front zippered pocket. Features include a leather handle, I.D. holder, and removable shoulder strap. Constructed of Cordura® Plus nylon, heavy-duty buckles, webbing and YKK® zippers.